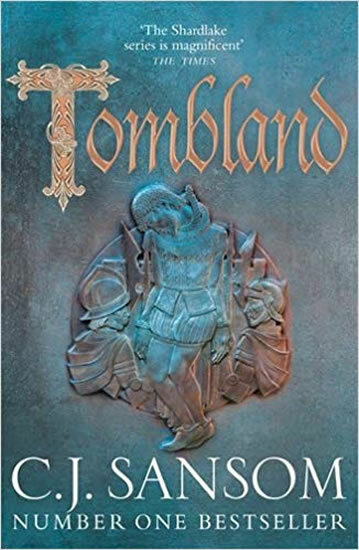 Tombland is the seventh novel in C. J. Sansom's number one bestselling Shardlake series. Spring, 1549. Two years after the death of Henry VIII, England is sliding into chaos . . . The nominal king, Edward VI, is eleven years old. His uncle Edward Seymour, Lord Hertford, rules as Protector. The extirpation of the old religion by radical Protestants is stirring discontent among the populace while the Protector's prolonged war with Scotland is proving a disastrous failure and threatens to involve France. Worst of all, the economy is in collapse, inflation rages and rebellion is stirring among the peasantry. Since the old King's death, Matthew Shardlake has been working as a lawyer in the service of Henry's younger daughter, the Lady Elizabeth. The gruesome murder of Edith Boleyn, the wife of John Boleyn - a distant Norfolk relation of Elizabeth's mother - which could have political implications for Elizabeth, brings Shardlake and his assistant Nicholas Overton to the summer assizes at Norwich. There they are reunited with Shardlake's former assistant Jack Barak. The three find layers of mystery and danger surrounding Edith's death, as a second murder is committed. And then East Anglia explodes, as peasant rebellion breaks out across the country. The yeoman Robert Kett leads a force of thousands in overthrowing the landlords and establishing a vast camp outside Norwich. Soon the rebels have taken over the city, England's second largest. Barak throws in his lot with the rebels; Nicholas, opposed to them, becomes a prisoner in Norwich Castle; while Shardlake has to decide where his ultimate loyalties lie, as government forces in London prepare to march north and destroy the rebels. Meanwhile he discovers that the murder of Edith Boleyn may have connections reaching into both the heart of the rebel camp and of the Norfolk gentry . . .
Dobrý den, předběžně v září 2019.